A virtual phone system lets you separate your personal and professional calls, but still gives you the flexibility and cost savings of operating your small business using your cell phone if you want. Handing out your personal cellphone number to random clients you meet or potential business partners means you are giving out your personal contact information to potential strangers – and no one should have to sacrifice security for business communications. With a mobile app, you will be able to use a tablet or smartphone to access business contacts, make calls, check voicemail and in some cases start video meetings. Basically everything you need to conduct business regardless of where you are or where you are going – giving you the power to operate without being tied to a desk. What business owner wants their hands tied? You have enough binding contracts in your small business, you don’t need a phone service that is going to tell you how long you have to use them, and when you can leave if you aren’t happy with their service. 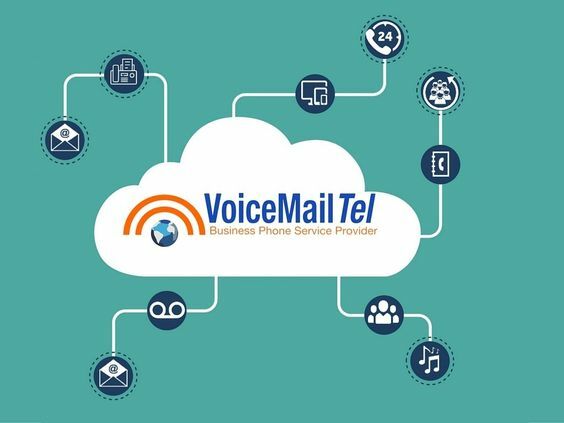 VoiceMailTel doesn’t constrict their customers with long term contracts or harsh early termination fees. Try Out our Virtual Phone System for Small business – for a 30 Day Free Trial, you have nothing to lose!